We had a wonderful workshop on 25-26 July. Attendance was not large but our time was certainly fruitful. 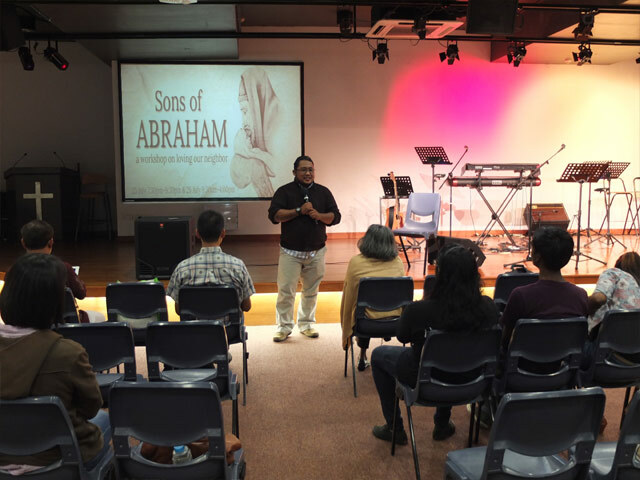 the Nations Hope was pleased to welcome Matius Arif to share at our Sons of Abraham workshop. The content he shared was empowering. As he built precept upon precept, you could feel faith and confidence also rise. Our brothers Jun Undag (pictured) and Andy Philip (not pictured) led worship and the presence of God was wonderful. What a great honor to have such a great team of people who love the Lord and are determined to love their neighbor as their self. This was such as success that we may have more of these types of gatherings in the future. Tell us what you think!